When the world of Azeroth was young, the god-like titans brought order to it by reshaping its lands and seas. Throughout their great work, they followed a magnificent design for what they envisioned Azeroth would become. Although the titans departed Azeroth long ago, that design endures to this day. It is known as the Emerald Dream, a lush and savagely primal version of the... World of Warcraft. Soon nature's enemies will learn the true meaning of the name. I love Warcraft Lore, and this was in some ways very entertaining. In most other ways it was excruciating listening to. The plot is great, but the way the author jumps around and rambles on and on about lesser important plot devices can be frustrated and hard to keep engaged. Then, the voice talent, who may have talent for a wild west or something, did a terrible job here. He talked so slow and mispronounced certian names of people and places that the game's cutscenes pronounce differently is obvious to show what little home work the reader did when taking on this job. He truly sounded bored reading this. For those not familiar with the World of Warcraft, I can see them being compleatly lost. Even those familiar with the game I can see still getting lost if they did not read up on their lore first. 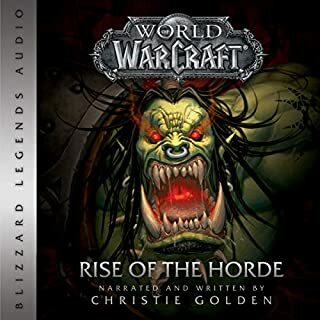 The book continues the very well though out lore around the Warcraft Universe but the Narrator constantly mispronounced names. 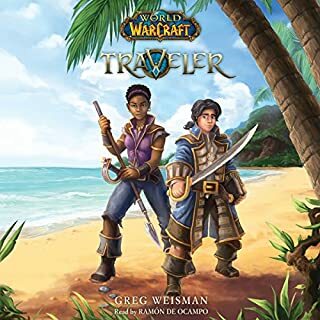 Sure not all names in the Warcraft Universe has a set pronunciation but there are general agreements about how to pronounce Krasus and Tyrande. I started fearing chapters with these characters just because each mispronounced I found myself ripped out of the audio book. Half through now. Story is ok, though slow at times. the main problem is the narrator. If you are going to do something like this, maybe you should take the time to actually find out the pronunciation of key names. It's very irritating tp listen to him mispronounce names of cities and characters incorrectly over and over again. What disappointed you about World of Warcraft: Stormrage? I have been reading his books for years. I get angry when people who play the game don't understand who the characters or where and how the very world they practically live in came to be. His original characters are wonderful, his writing is great, he stays true to the lore and the world of Warcraft to a nth degree. But this book just left a bad taste in my mouth. I blame the Narrator, Richard Ferrone, who puts in the SECOND worst performance I have ever heard in a book reading ever. He is emotionless robot, who cared nothing for the book he read. His monotone voice, and mispronunciations of all of the characters was grating. There were a dozen times where his performance caused me to fantasize about my own rendition of the book, only to realize that I had missed about 10-15 minutes of the book because he bored the crap out of me. The book itself was OK, not Knaak's best works, but again I blame Ferrone for the lack of interest. Try buying it and reading it yourself, it might work better that way. Would you ever listen to anything by Richard A. Knaak again? Yes! Listening to WOlfheart right now, which is WAAAAAAAAAAAAY better in the first five minutes than stormrage. Ever been in a movie theater? How about while watching a movie you really enjoy and are becoming completely absorbed and immersed in this world the director has presented to you only to be ripped away from the illusion by a reality shattering and flesh rending ring from a cell phone which some forgetful and unfortunate soul has forgotten to silence. Then for the remainder of the movie, all you can think about is how some careless person ruined your experience which could have been avoided by taking a couple brief moments to make right by everyone. 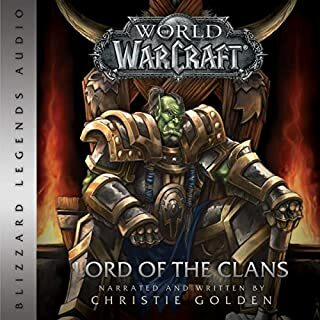 In this case the narrator for this audiobook is that Head-splitting ring from a cell phone that ruins what would be a decent bit of lore from the Warcraft universe. This is the closest I can come to relaying how awful this 'performance' was from the narrator. All it would have taken was a couple moments to clarify the proper pronunciation of names which are so heavily engrained within the lore of Warcraft. "Ar-thoss" and "Sil-ve-noss" would be extremely disappointed as well as the citizens of "till-druss-ul" with the narrator for this book. 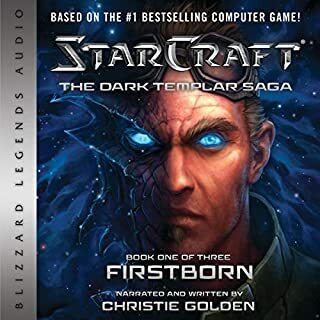 My recommendation/request from audible: Get a new narrator and re-record, as well as give a free download to all who had to listen to this crap. My recommendation/request from prospective purchasers: until there is a new narrator who has recorded for this title- skip it, or buy the paperback. 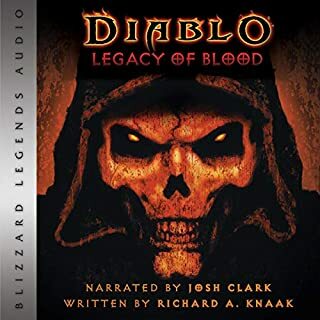 If you listen to this specific narrator on this audiobook it will leave a horrible impression and a bad taste in your mouth which you will never be able to get rid of. The authors constant jumping around from character to character made the book difficult to follow at times and found that I had to stop listening because my mind was starting to wander. He introduces characters through out the story that are insignificant to the story and makes you think that they were included just for the sheer sake of saying they were mentioned in the book (i.e. The Forsaken). What also troubled me is you are closely following one character at the start and then suddenly half way through it changes to another and the other is all but forgotten except at small parts here and there near the end. In short if you are a die hard fan of World of Warcraft or the Druid class, this is a book you may like. If not, I suggest you focus your attention elsewhere as this was not a book I can recommend. Decent book for lore, narration was unbearable. Only if they really, REALLY wanted to learn more about the lore of Warcraft. What didn’t you like about Richard Ferrone’s performance? 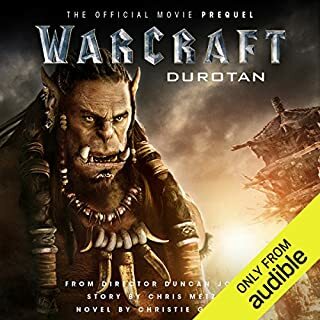 If I didn't know this was a professionally narrated audio book, I would have assumed it was someone jokingly reading it wrong intentionally. I've never heard someone enunciate the wrong syllable so many times in my life. If I didn't love the lore so much, I would have stopped listening about 15 minutes into the book. This book is very frustrating to listen to. I'd recommend reading it yourself over listening to the audio book. While the book wasn't horrible, Knaak's writing style leaves much to be desired, especially when compared to other fantasy contemporaries. 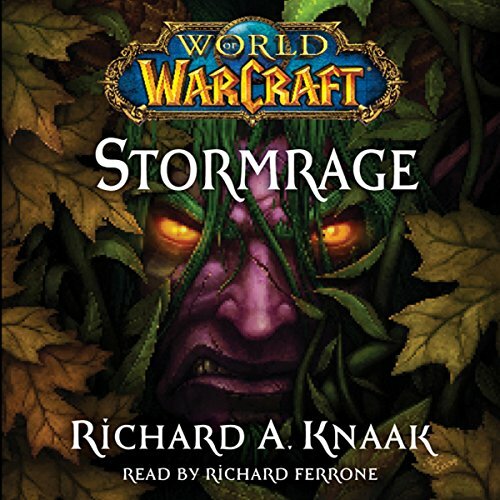 Stormrage was great on lore, but lacking on writing styles, imho. The story itself is entertaining. The issue is the narrator; he mispronounces several character names and city names. I found myself getting irritated with every mispronunciation.